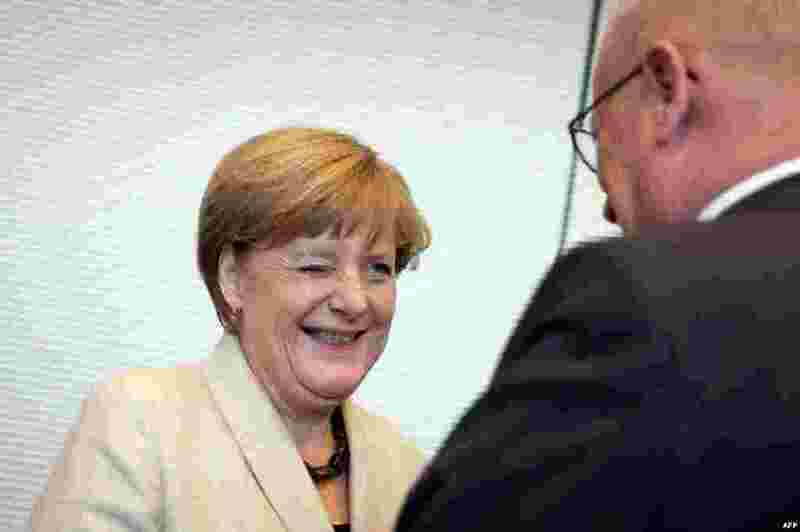 1 German Chancellor Angela Merkel (L) twinkles to the parliamentary group leader of the conservative Christian Democratic Union (CDU) Volker Kauder ahead of the faction meeting of CDU and CSU in Berlin. 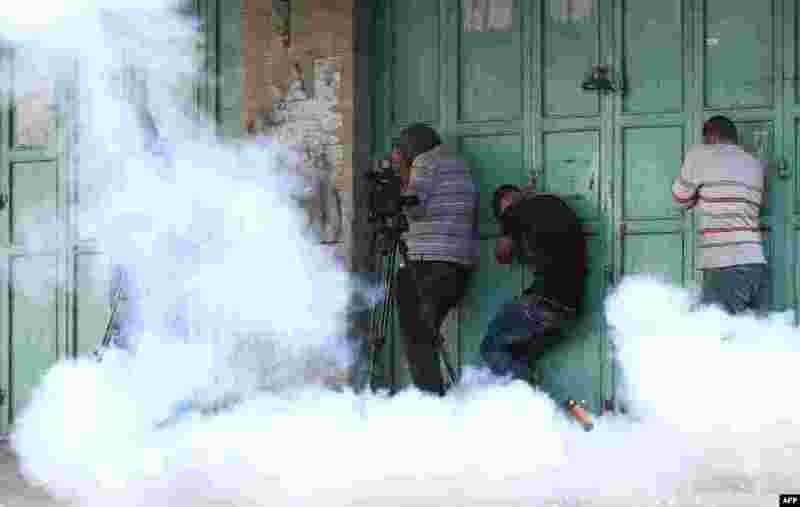 2 Palestinians take cover from tear gas and protect their ears from a sound grenade fired by Israeli security forces, during a demonstration in the West Bank town of Hebron in solidarity with fellow demonstrators clashing with Israeli police at Jerusalem's flashpoint Al-Aqsa mosque compound. 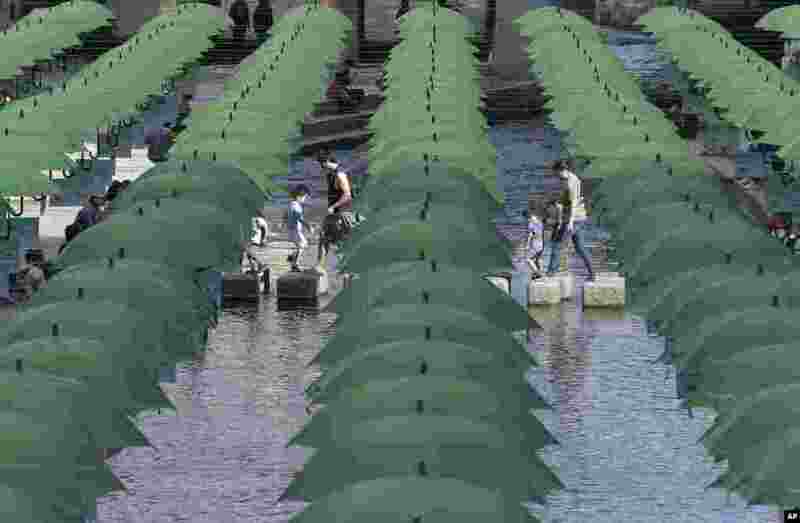 3 Visitors walk under umbrellas on display over Cheonggye stream during a campaign to raise donations to help underprivileged children in Seoul, South Korea. 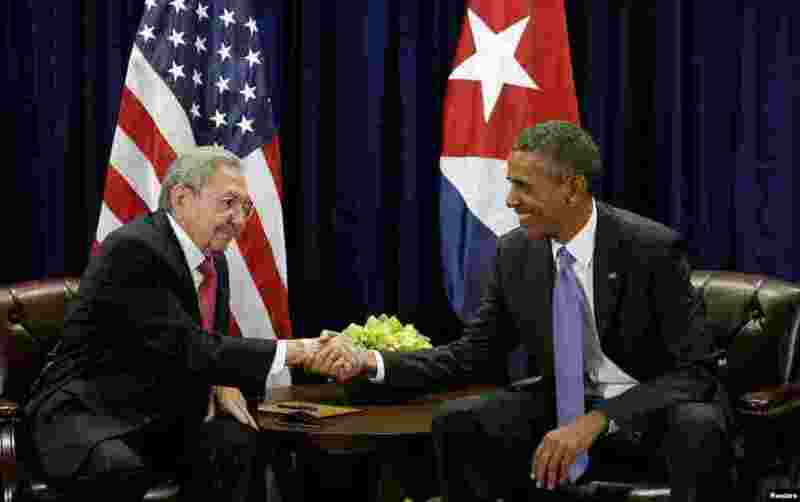 4 U.S. President Barack Obama (R) and Cuban President Raul Castro shake hands at the start of their meeting at the United Nations General Assembly in New York.